I don't know about you, but I have this steadily growing pile of clothes in my wardrobe that makes me feel guilty every time I look at it. It's the mending. 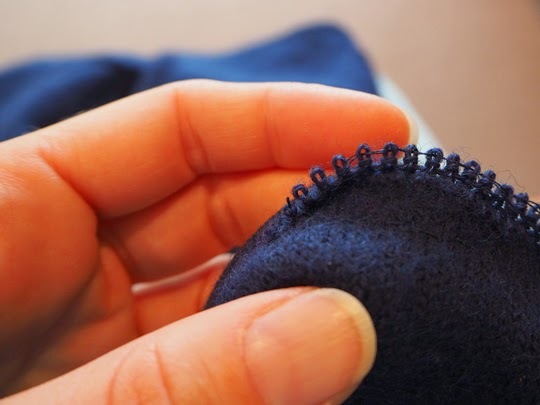 Many of the pieces only require small fixes – a hem that needs reattaching, a seam that's come undone, a small tear that needs sewing together. 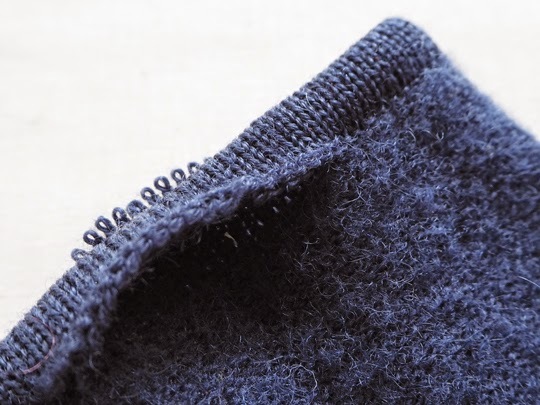 I won't lie to you though, there are some things in the pile that require a mammoth effort – the cardigan with a sleeve that needs to be removed, undone and partially re-knitted is one that comes to mind. And so I keep putting it off. Mending isn't nearly as exciting as making, and sometimes things sit in the pile so long that the shapes go out of fashion, or the garments that went with it have long gone to the charity bin. There's even one top I've looked at and wondered what I was thinking – it really is beyond help and will be more useful as scrap. 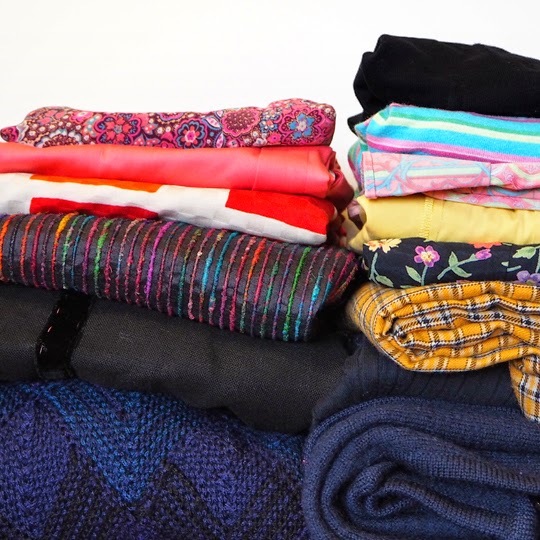 Quitting my job has allowed me to live a slower life, to be more conscious of my purchasing decisions and the waste I create – especially textile waste, given how notoriously unsustainable that industry is. There's also the fact that I have a lot less money coming in, so in 2015 I've decided it's time to look at that mending pile. 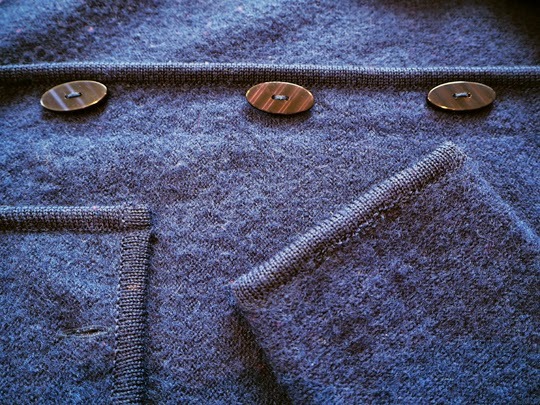 I'm starting with something fairly easy, a cuff that's come undone on a knitted jacket. I'm trying not to buy more thread, wool, fabric etc to do these mends, as I feel it defeats the purpose a little. I might buy materials if I do a repurpose, but for mending I'm going to make do. To mend the jacket, I'm using thread, as it's the closest colour-match I've got. First I threaded through each of the knitted loops on the outside, and then I sewed back in the other direction with back-stitch. I didn't stitch all the way through to the other side of the sleeve as I didn't want the stitches to be visible there. I then did the same on the inside of the sleeve (note for next time: start on the inside as your technique is always better on the second go). It took probably 10–15 mins in total, and the jacket is now hanging back in my wardrobe ready for winter. Easy-peasy! This mending caper is going to be a year-long project for me – on the blog, Instagram (tagged with #midmonthmending) and Facebook. 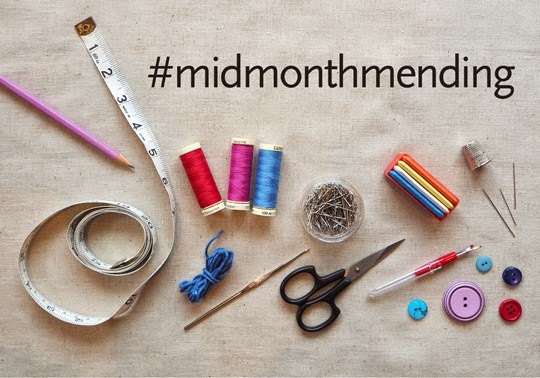 I'd love it if you followed along, and even more if you joined in and shared some of your mending each month. I've also started a 'Make Do and Mend' board on Pinterest to share things I find along the way. Hopefully we can all learn some new techniques this year, reduce that mending pile and throw away a few less clothes.